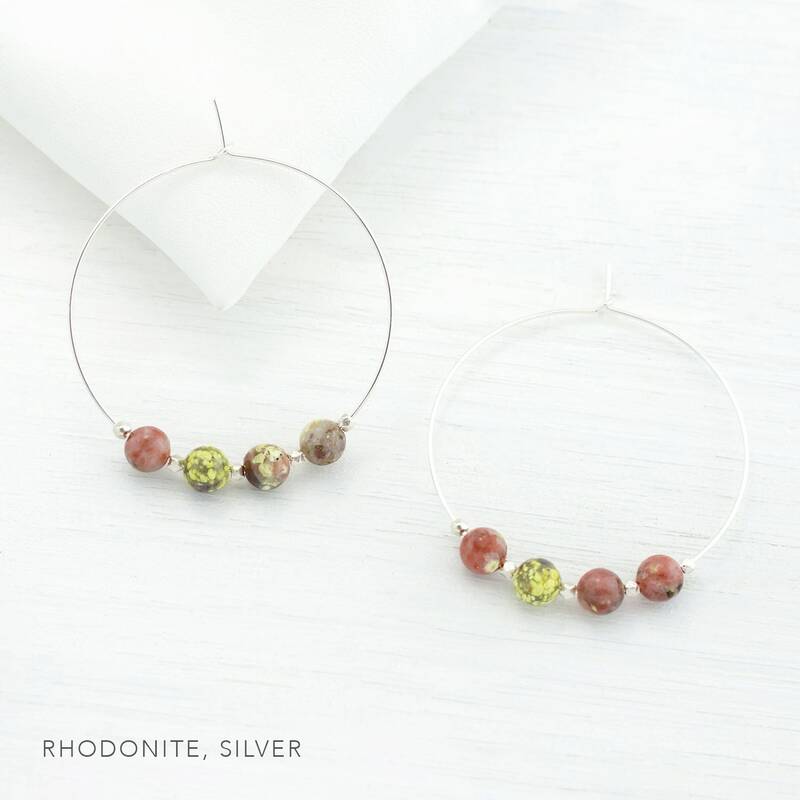 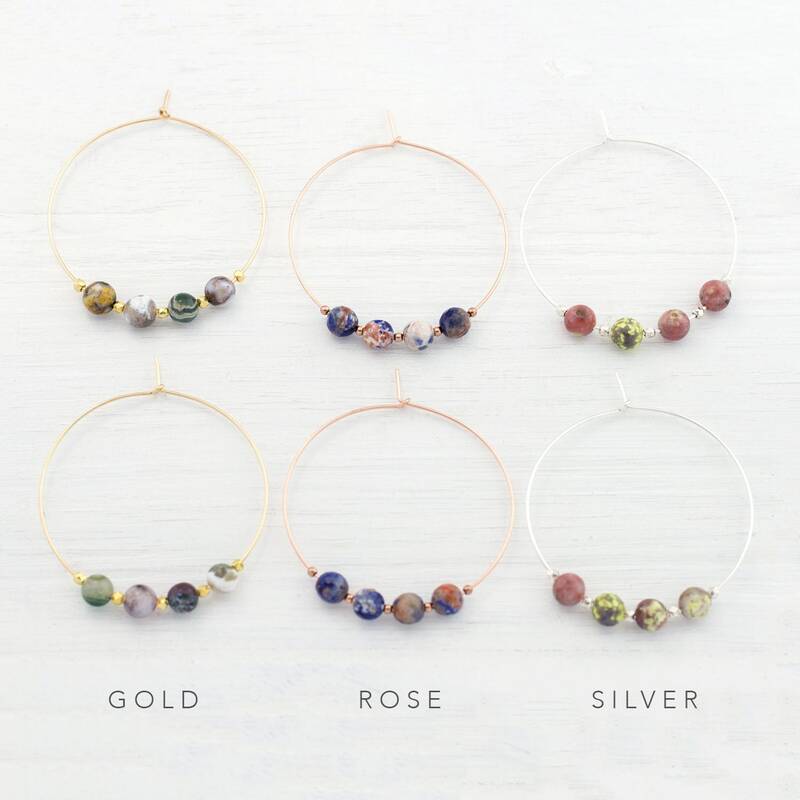 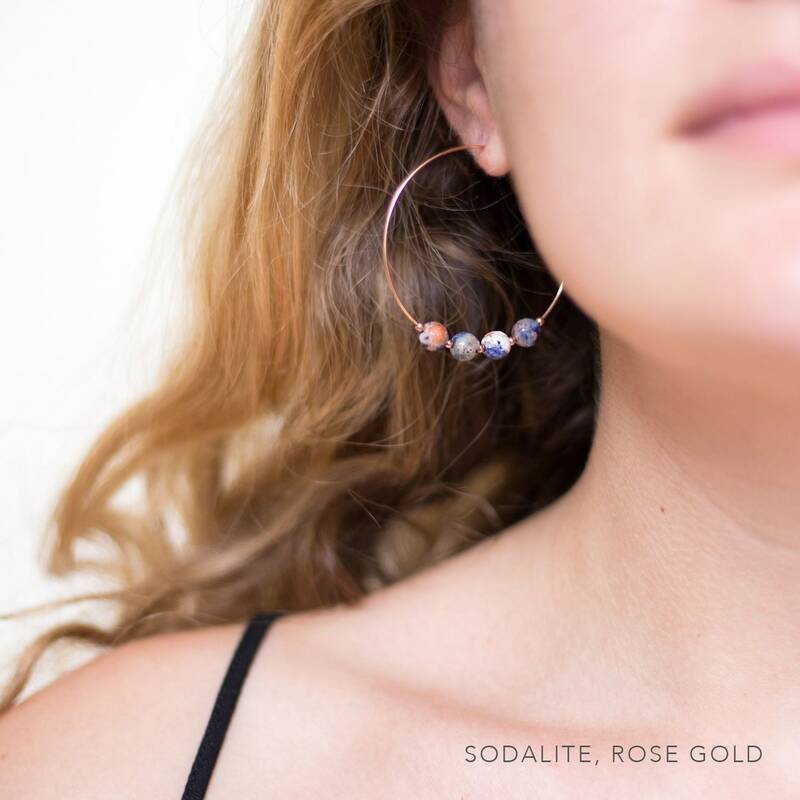 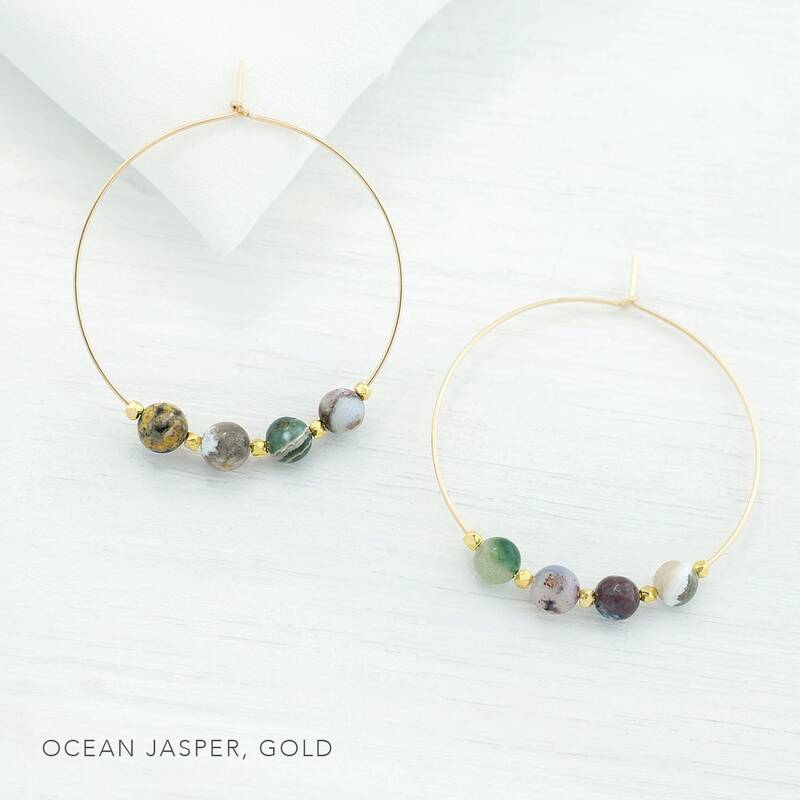 These boho beaded hoops feature genuine gemstones framed by tiny geometric beads. 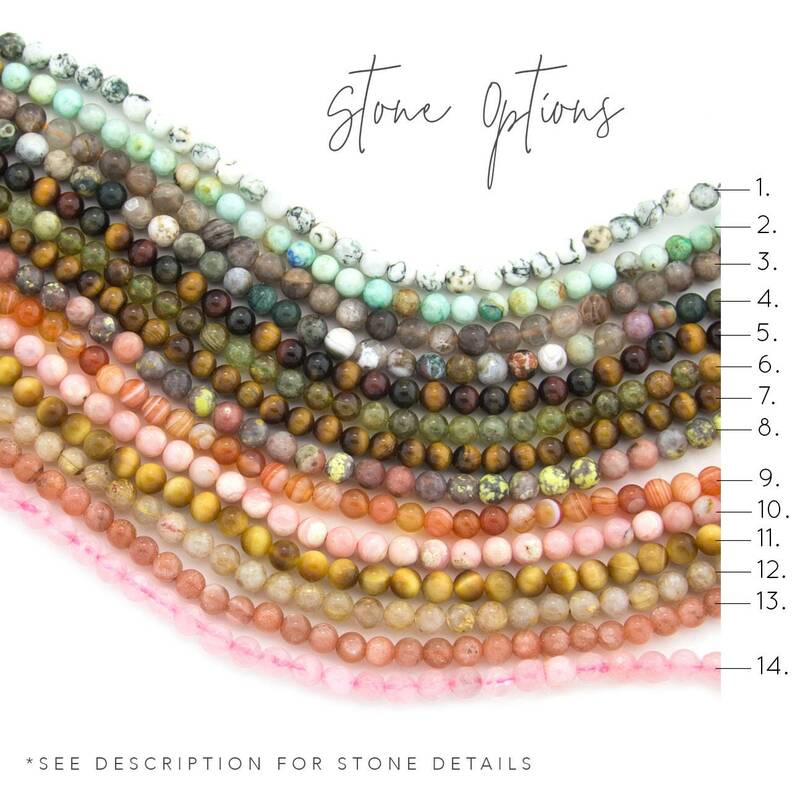 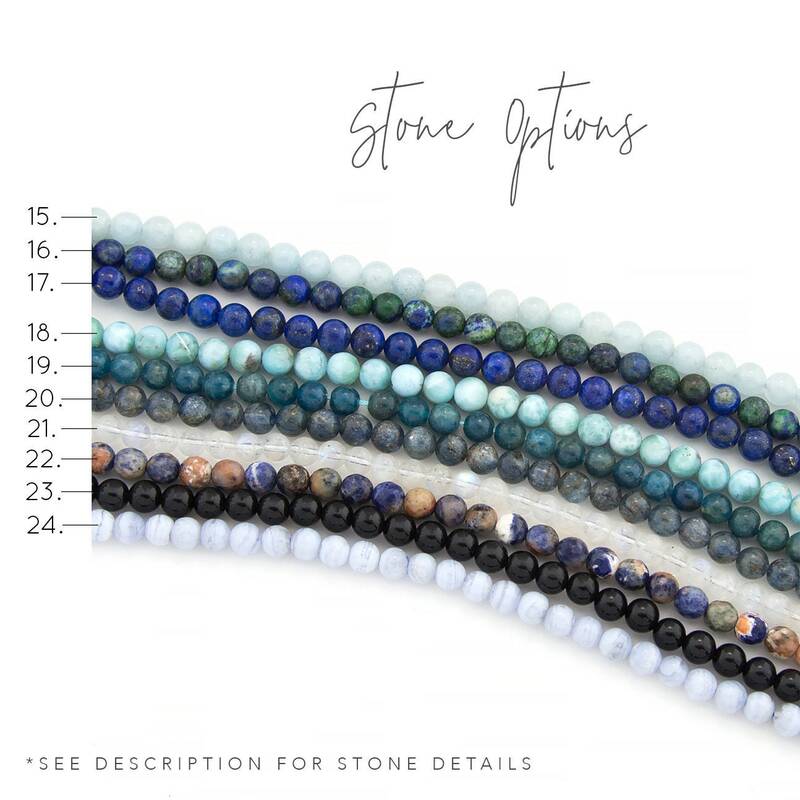 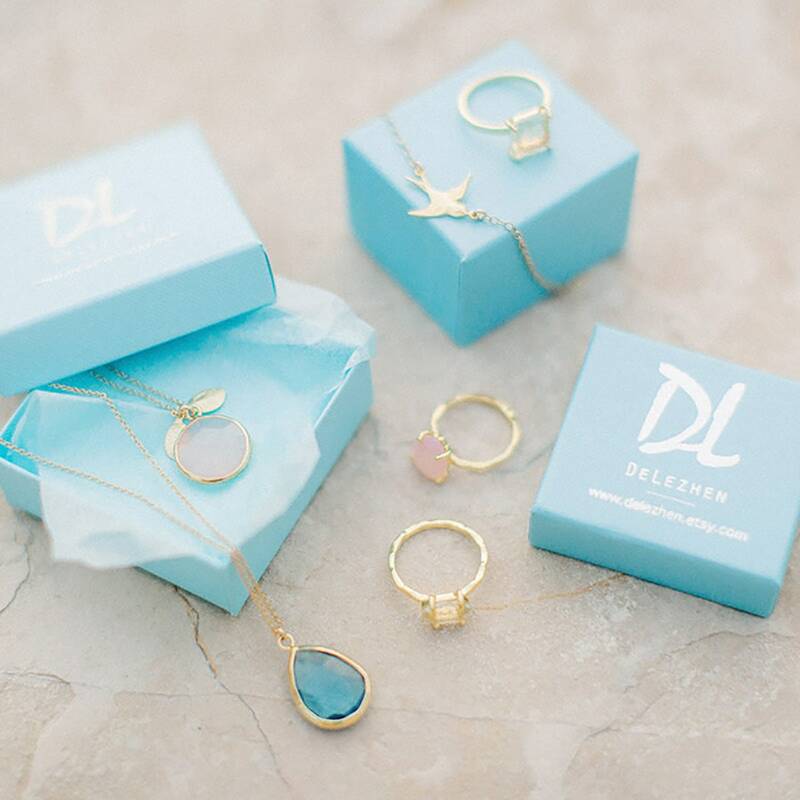 Available in 14k Gold Filled, Sterling Silver or 14k Rose Gold Filled and 24 different stone and color options! 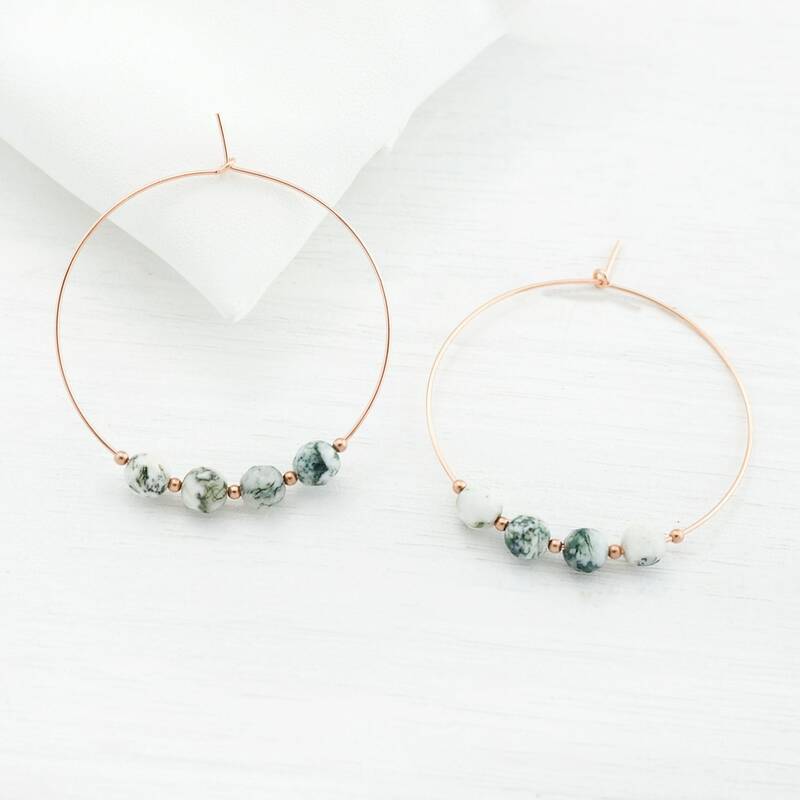 They are lightweight and make a perfect statement piece.